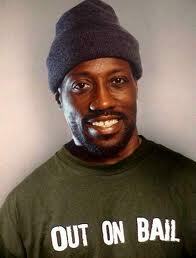 The Wesley Snipes Theory states for man to watch over the state of his OWN affairs. You have to oversee your own affairs. My shopping experience yesterday lead me to thinking up and pod-casting about the Wesley Snipes Theory today! The Wesley Snipes Theory is basically a theory or word of wisdom that states to take care of your own sh*t. Wesley Trent Snipes (born July 31, 1962) is an American actor, film producer, and martial artist, who has starred in numerous movies, thrillers, and dramatic feature films. Snipes is known for playing the Marvel Comics character Blade in the Blade film trilogy, among various other high-profile roles. Snipes formed a production company, Amen-Ra Films, in 1991 and a subsidiary, Black Dot Media, to develop projects for film and television. Snipes has been training in martial arts since age 12, earning a 5th dan black belt in Shotokan Karate and 2nd dan black belt in Hapkido. DueDaniels.com does not know the details of what lead to his financial demise with the IRS. If you enjoyed this podcast, share it with others, and don’t forget to check back with us next week, Monday through Thursday for topics of growth, as we build upon our motto of LIVING Learning and Achieving. How Do You Live with Someone Who is Going to Die?